PCR Boot Camp 2015 gets underway tomorrow (Thursday May 14th) – here’s the key details including the itinerary and exhibitor list. This year’s event will follow the same format as 2014, with a conference programme in the morning, providing a mix of speaker and panel sessions, all designed to help dealers improve sales and ‘get fit for business’ in 2015. Check out the conference session here. There will be the likes of Intel, Microsoft, Samsung, Ricoh, GfK and a host of resellers discussing the latest trends and margin opportunities. The conference will end at 1pm in time for lunch. The expo will get underway after lunch. 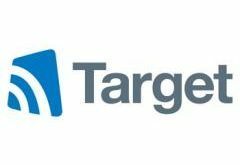 It will host a number of distributors, software publishers and hardware vendors as they demonstrate their latest products and services to the rest of the industry. Exhibitors include headline sponsor Microsoft, premium platinum partners Entatech, Northamber, Ingram Micro, as well as Acer, Mentor Distribution, VIP Computers, Opia, MaxFocus, PXS Distribution, AOC, Philips MMD, Network Group, Synaxon, Brigantia, Synology, Nemesis, Hannspree, CompTIA, Stock in the Channel, M2M, Mustard Concept, Caseking and more. Read more about what to expect to see from the exhibitors in the digital edition of the latest PCR issue here. The larger area gives us more room to set up a great networking evening event, with a hog roast cooked by the resident chefs and free drinks for all delegates. As well as the privately booked after party area, we have access to the large outdoor seating of the country venue to enjoy the spring weather, as well as the hotel bar. Do some networking, talk over the events of the day, or just enjoy the scenery and a drink. Whittlebury Hall in Northamptonshire offers dealers first class facilities in a centralised, easily accessible, countryside setting with free onsite parking – there is no better opportunity to view the conference, check out the expo, talk with other dealers, share ideas, share concerns and get together over a drink in the hotel bar. To get there by rail, visitors can travel to Northampton (14 miles) or Milton Keynes (11 miles). Both stations are main line stations with regular service connections to all parts of the UK, and are around a 30 minute train journey from London Euston. For drivers, all cars must be parked in the hotel car park, which is located to one side of the hotel. There are 458 car park spaces, 12 of which are allocated disabled spaces. Each attendee will be given a Philips OST690 10 Bluetooth Boombox to take home. On top of this free gift, dealers get a full day of conferences, networking and getting their hands on new product, as well as free lunch and dinner, free bar in the evening, free parking and reduced rates for overnight accommodation at the lavish Whittlebury Hall hotel and Spa. Check out the PCR website and follow PCR on Twitter to check out the latest info from the day. 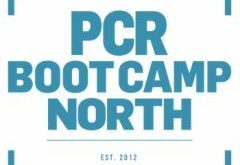 You can write about PCR Boot Camp on Twitter using the hashtag #PCRBootCamp. There’s still time to attend. Entry is free for IT retailers, resellers, system builders and etailers. Simply sign up here.